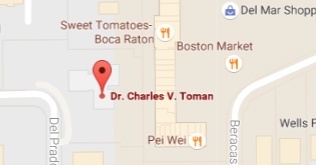 Charles V. Toman, MD is a graduate of Atlantic Community High School in Delray Beach, Florida. Upon completion of the International Baccalaureate Program at Atlantic High School, Dr. Toman continued his education at the University of Miami where he was briefly a member of the Hurricanes baseball team before focusing instead on the rigorous Honors Program in Medicine, a six-year combined BS/MD program. As a result of his dedication to academic excellence, professionalism, and patient care, Doctor Toman was selected as a member of the Alpha Omega Alpha Medical Honor Society in both his third and fourth years of medical school. 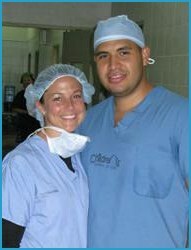 Doctor Toman then accepted an Orthopedic Surgery residency position at the prestigious Washington University School of Medicine, one of the most highly regarded training programs for Orthopedic Surgery in the world. 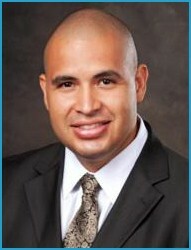 Following residency, Dr. Toman received advanced Fellowship Training in Adult Reconstructive Surgery, Total Joint Replacement, Sports Medicine and Clinical Research at The Hughston Clinic in Columbus, Georgia. Dr. Toman has helped care for athletes at all levels of competition including professional athletes from the St. Louis Rams, St. Louis Blues, Tampa Bay Rays, New York Giants, Columbus Cottonmouths, Columbus Catfish, and a host of Collegiate Teams. Dr. Toman is a previous team physician for the Out-of-Door Academy and is a consultant for many local high school teams in our community. 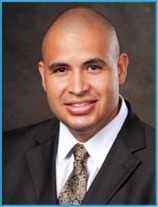 Click here for more information about Charles V. Toman, MD.